Note:- Only candidates holding Phd. in any research field can apply for review board membership, all other request will be reject outright. -The author of the article must submit it to the journal editor who forwards the article to experts in the field. Because the reviewers specialize in the same scholarly area as the author, they are considered the author's peers (hence "peer review"). -These impartial reviewers are charged with carefully evaluating the quality of the submitted manuscript. -The peer reviewers check the manuscript for accuracy and assess the validity of the research methodology and procedures. -If appropriate, they suggest revisions. If they find the article lacking in scholarly validity and rigor, they reject it. Because a peer-reviewed journal will not publish articles that fail to meet the standards established for a given discipline, peer-reviewed articles that are accepted for publication exemplify the best research practices in a field. Overall Impact. Reviewers will provide an overall impact/priority score to reflect their assessment of the likelihood for the project to exert a sustained, powerful influence on the research field(s) involved. Scored Review Criteria. Reviewers will consider each of the review criteria in the determination of scientific and technical merit, and give a separate score for each. An application does not need to be strong in all categories to be judged likely to have major scientific impact. For example, a project that by its nature is not innovative may be essential to advance a field. Investigator(s). Are the PD/PIs, collaborators, and other researchers well suited to the project? If Early Stage Investigators or New Investigators, or in the early stages of independent careers, do they have appropriate experience and training? If established, have they demonstrated an ongoing record of accomplishments that have advanced their field(s)? If the project is collaborative or multi-PD/PI, do the investigators have complementary and integrated expertise; are their leadership approach, governance and organizational structure appropriate for the project? Approach. Are the overall strategy, methodology, and analyses well-reasoned and appropriate to accomplish the specific aims of the project? Are potential problems, alternative strategies, and benchmarks for success presented? If the project is in the early stages of development, will the strategy establish feasibility and will particularly risky aspects be managed? If the project involves clinical research, are the plans for 1) protection of human subjects from research risks, and 2) inclusion of minorities and members of both sexes/genders, as well as the inclusion of children, justified in terms of the scientific goals and research strategy proposed? Additional Review Criteria. As applicable for the project proposed, reviewers will evaluate the following additional items while determining scientific and technical merit and in providing an overall impact/priority score, but will not give separate scores for these items. Additional Review Considerations. As applicable for the project proposed, reviewers will consider each of the following items, but will not give scores for these items and should not consider them in providing an overall impact/priority score. GSJ review board has highly dispersed & geographically separated team of review board members who make sure academic quality assurance of journal. Editorial board is divided under the leadership of following members, each review panel has 50 reviewers. 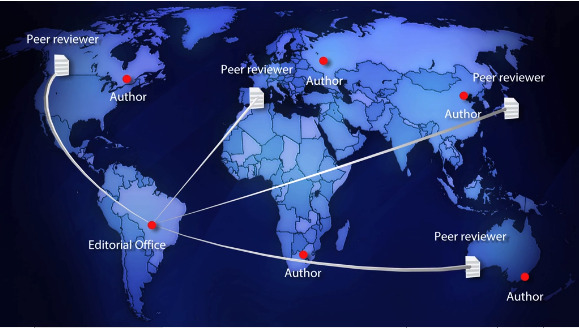 Author submission send for blind peer review and not specific to author location.